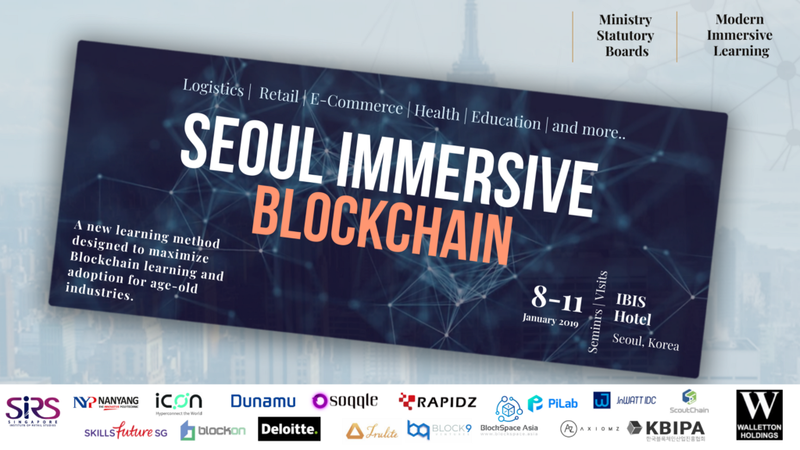 ICON will be a featured host in ‘Seoul Immersive Blockchain’, which will take place at the Ibis Style Ambassador Gangnam from January 8th to 11th. This private blockchain study trip is led by official educational institutions of the Singaporean government, including SkillsFuture Singapore (SSG) which is a statutory board under the Ministry of Education. More than 50 attendees from the Singaporean government, state-run companies, and industrial leaders of finance, medicine, e-commerce, and retail will congregate to share business models utilizing blockchain technology and the potential for technological innovations. The ICON Team will participate in the event as a representative of the Korean blockchain industry. Specifically, Josh Choi, Director of Public Affairs, will introduce Path to Adoption at 11:00 am on the 10th, introducing ICON’s vision and recent achievements. As ‘TRIBE’, ICON’s Singaporean accelerator program, has been recognized as the first blockchain accelerator supported by Enterprise Singapore, a significant Singaporean government agency, we expect this event to further expand our presence in Singapore. ICON to participate in ‘Seoul Immersive Blockchain’, a private blockchain study trip led by the… was originally published in Hello ICON World on Medium, where people are continuing the conversation by highlighting and responding to this story.